Learn who we are by reading our five star reviews. Call or send us an email today! Our optometrist will respond as soon as possible. Call us at 660.241.5001 today. Welcome to Losh Optometry in Maryville, MO. Dr. Ryan Losh and the Losh Optometry team strive to provide the best in optometry services. We invite you to browse our website to learn more about our optometry services and join our patient family by scheduling an eye exam appointment at our office. Losh Optometry is a full service eye and vision care provider, accepting both eye emergencies as well as scheduled appointments. Patients throughout the Northwest Missouri area come to us because they know they will receive the personal attention and professional care that is our foundation. Dr. Losh and our team are dedicated to keeping our patients comfortable and well-informed at all times. At Losh Optometry, we will explain every exam and procedure and answer all of our patients' questions. We accept Cash, Check, Credit Cards and Care Credit payment options; we are in-network for several medical and vision insurance plans to ensure good eye health and vision care for all of our patients. sore eye treatment: available after hours & weekends when you need it, and more affordable than emergency department visits. At Losh Optometry, we are dedicated to providing high-quality eye care services for all, in a comfortable environment. Call us at 660.241.5001 or request an appointment today online. Happy patients are our priority! "Dr Losh is the most thorough eye doctor I've experienced. He explains what he is doing, why he is doing it and leaves no question unanswered." "It was a good visit. Eyes didn't change that much. Very thorough. I highly recommend Dr Losh. Thank you very much." "Was very helpful and nice!" "Great experience! I liked how much time he spending working with you and explaining things to you." "Great service and would definitely recommend to a friend." "Great experience very professional and helpful. Friendly staff." "Great experience! The staff was very friendly and laid back." "I walked in and was immediately greeted with a smile! He helped me right away and was very pleasant to talk to! Nothing but great reviews!" "It was great. The doctor was helpful and so was the desk attendant." "My family and I have been patients of Dr. Losh's for the last year and a half. Being in the health care profession myself, I truly appreciate the high standard of care that Dr. Losh provides and the professionalism that is shown in his practice. He is thorough, takes time to listen and evaluate, and I like how he explains things throughout the exam. Every Spring, I battle annoying eye allergies and had all but given up on a solution to manage them, but Dr. Losh provided a successful answer that has helped my eye allergies to be much more tolerable. I am thankful that Dr. Losh and his wife Tracey have their practice in Maryville and without hesitation, would recommend them to family and friends." "Dr. Losh helped me regain vision in my left eye. When I was in college a chemistry experiment blew up in my face damaging the cornea in my left eye. For 50 years I had a scar across my cornea which greatly limited my vision in that eye. All of the other Optometrists I saw said that nothing could be done to help me. Dr. Losh referred me to a cornea specialist ophthalmologist. The specialist performed corneal transplant surgery. Now I have my vision back in my left eye and can see normally. Thank you Dr. 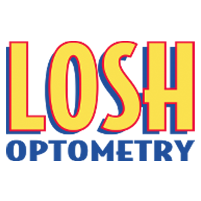 Losh!" "Dr Losh is awesome! He gave me a very thorough exam and took his time with me. Staff was friendly and very helpful. I felt Very comfortable. I would recommend Dr. Losh to all my friends and family." "Great doctor! Dr. Losh is very informative and I learned a lot from my visit!" "Dr. Losh was very professional and thorough with my exam. Their office has a warm and welcoming atmosphere. They were very helpful in assisting me to choose glasses frames. I will definitely go back again and recommend Losh Optometry to my friends."